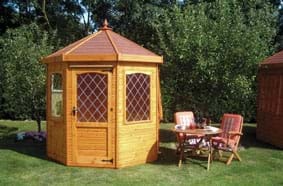 We believe our summer houses are the best in Derbyshire because all our summer houses are made using only the best quality timber and all our summer houses are professionally made by hand. 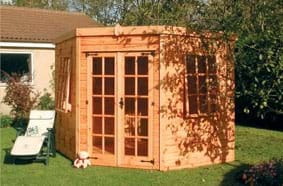 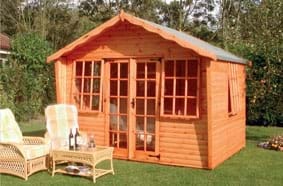 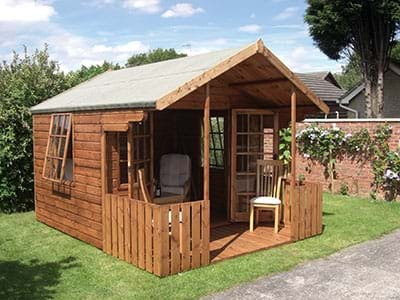 We will be more than pleased to make any shed to any size to meet your requirements. 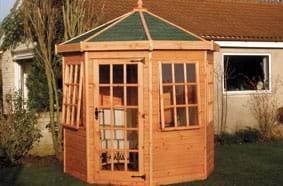 A spirit based treatment can be added at additional cost. 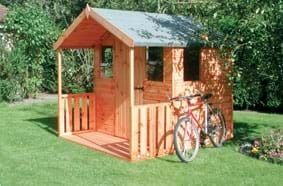 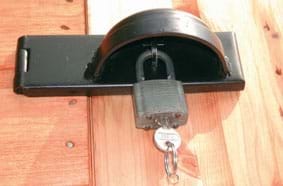 In order to ensure that you receive years of enjoyment and service from your sectional building it is important that you ensure that the site is not prone to regular flooding and you prepare the site for your building properly. 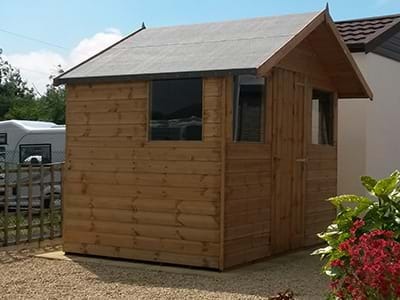 Base preparation need not be an elaborate work of art, so long as the end result is an area of ground that is square, level and firm, using either a floor bearers method or a slab base. 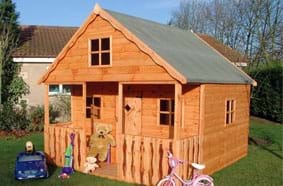 All our Timber buildings are professionally made by hand, using only the best quality timber, and a spirit based treatment can be added at additional cost. 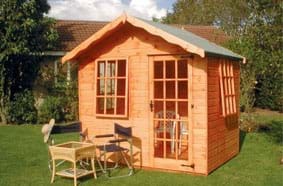 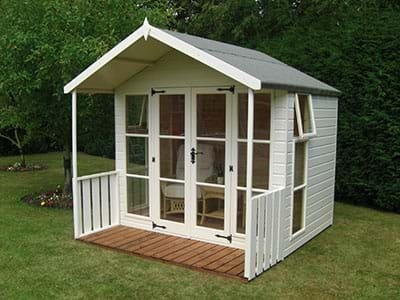 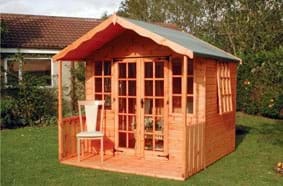 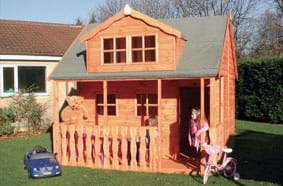 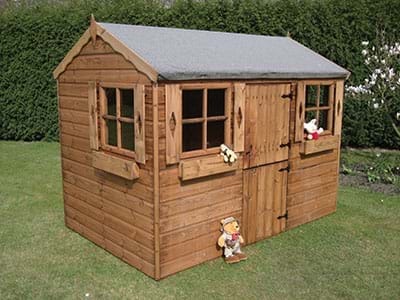 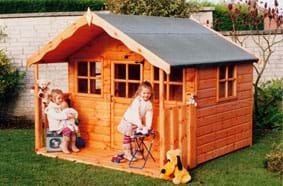 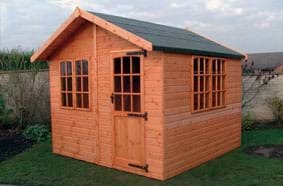 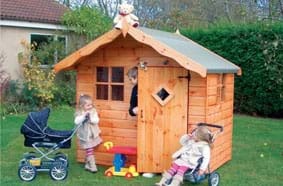 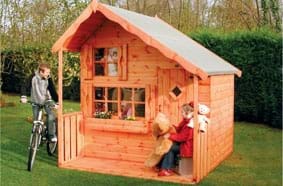 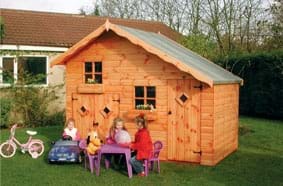 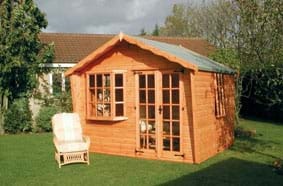 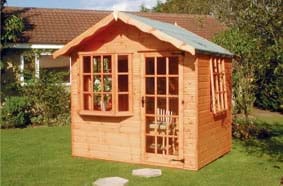 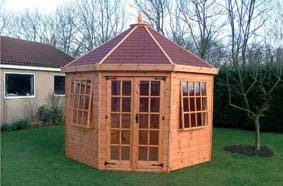 We will be more than pleased to make any shed to any size to meet your requirements. 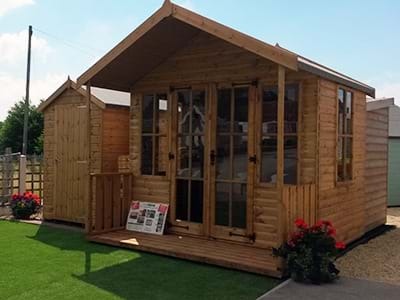 In order to ensure that you receive years of enjoyment and service from your sectional building it is important that you ensure that the site is not prone to regular flooding and you prepare the site for your building properly. 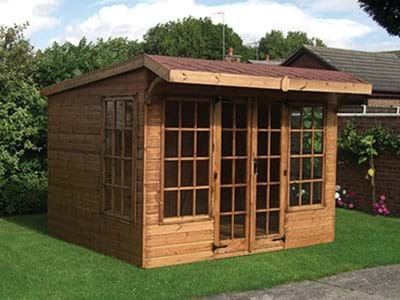 Base preparation need not be an elaborate work of art, so long as the end result is an area of ground that is square, level and firm, using either a floor bearer’s method or a slab base.